Dwarf hamsters are much smaller sized hamsters than Syrian or Golden hamsters and have become a popular pet for children, teenagers and even adults. But looking after a Dwarf hamster requires a great deal of responsibility. This guide will provide a general overview to Dwarf hamsters; what you will need and how to look after a happy hammie. Why are they called Dwarf hamsters? Syrian hamsters are the most popular type of hamster sold as pets in Europe. However, Dwarf hamsters gained their name because they are half the size (fully grown) of Syrian hamsters. Hence the name dwarf. What types of Dwarf hamsters are available? Which kind of hamster should I buy? Before purchasing a new pet hamster, it is advised to research into each type of hamster and understand which one would best suit yourself and your personality. For example, do you plan to keep a small cage because you do not have enough room for a 60×40 (internal floor space) cage/bin? If so, maybe a hamster is not the pet for you. What will I need to keep a new hamster in my life? Just like owning any pet, they require love, attention and a good environment. Dwarf hamsters LOVE space. A nice big cage or bin will prevent biting, aggression and attempts to escape the cage – and making a lot of noise doing so. Cage – A cage will provide a home for your hamster and the biggest mistake people think is “It’s a small hamster so it will need a small cage.” WRONG. Anything bigger than 60×40cm (floor space) will be a good size. The more space the better – you will be surprised how much energy they have. Bedding – Bedding is the material that goes generally on the floor around the cage or tank. It provides protection, helps encourage natural foraging and burrowing. Bedding will also help keep their environment cleaner while soaking up hamster waste. A good bedding brand is Tumblefresh. Accessories – These are the toys, extra mineral licks/blocks and chewable sticks within the cage. Dwarf hamster accessories will help prevent biting of the bars, wanting to escape and unhappiness. The more accessories i.e. tubes, chewable flavoured items and toys (wheels, platforms or seesaws) the happier your hamster will be. Accessories are very important in a hamster’s life – Chinese Dwarf hamsters love climbing but Russian Dwarf hamsters cannot climb as well and prefer burrowing and tubes. Food – There are more than enough brands supplying small hamster foods however they can seem misleading. A healthy balanced diet is very important and will help prevent diabetes or obesity. Pellets are a preferred option as they contain a mixture in each pellet. Dwarf hamsters prefer to eat the fatty nuts rather than the good bits of the mixture. It is recommended to add a tablespoon of pellets a day and then every 2-3 days sprinkle some muesli, fresh vegetables or fruit around their cage. Doing your research into each type of hamster beforehand is essential to being a proud owner. Owning your new hamster is very exciting, but what exactly should you expect with your first hamster? The behaviour of a hamster is 85% observed at night as these creatures are nocturnal. This simply means that within the day, a hamster will only wake up every 2-5 hours to get food or nourishment. In the wild, it is safer for hamsters to forage and therefore adapt this lifestyle from birth. All animals can show aggressive or strange behaviour, but you must remember there is always a reason. If your hamster is biting, this is most probably because they are still not comfortable around their owners and feel like they need to defend themselves. Within the first few weeks it is normal behaviour to expect some biting and aggression towards you. Just do not show fear and be patient when handling. Roborovski Dwarf hamsters are the newest type to pet stores and are a lot harder to tame, unlike a Russian or a Syrian (non-Dwarf hamster). This is something to consider before purchasing. If your problem recurs. Seek help online or contact your local vet as there possibly may be health issues. Blow air or loud sudden noises – These tiny creatures have excellent hearing and are easily scared. Blowing on them will quickly anger your hamster and can ruin your relationship causing biting and fear. A partner of a different type – NEVER mix different types of hamsters together as this is seriously dangerous for both breeds and will result in death. Most hamster will not live with a partner however there are some exceptions with Russian Dwarf hamsters. A small cage with little bedding or accessories – This is not only cruel but causes multiple problems in the future as your hamster will quickly become bored and start chewing through its cage and accessories costing its owner a fortune. Lots of bedding promotes burrowing and accessories stop boredom. Exercise ball for longer than an hour – The exercise ball is a great way for a hamster to get a bit more exercise and explore your room safely. But air circulation is poor, limit exercise ball time to 30 minutes and ensure all doors are closed and there is no access to stairs. Dwarf hamsters are very precious, ensure you handle them with care or you could be bitten and struggle to handle your hamster. If you follow this guide you will be the proud owner of a Dwarf hamster and have a long relationship. 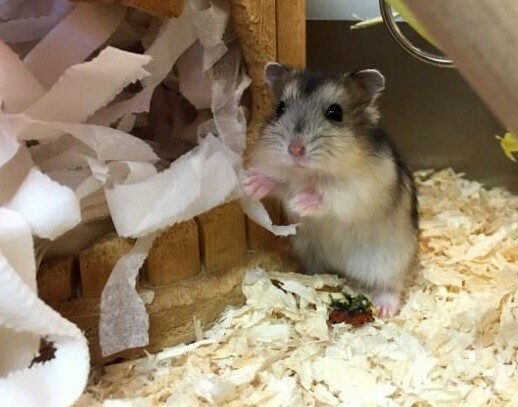 Dwarf hamsters live for around 1-3 years and will bring smiles and happiness into your life. We are very conscious of the online security concerns of our customers and we’ve found that being a bricks and mortar business of long-standing, as well as being an Internet retailer, is one of the facts that engenders trust (and security) with people when dealing with Pet-Bliss. It’s nothing to do with it being Halloween month, but we’ve heard a few horror stories lately from our customers about their previous experiences dealing with some other online pet stores. One of our new customers told us she became involved in a lengthy online dispute while trying to obtain a refund from another website. 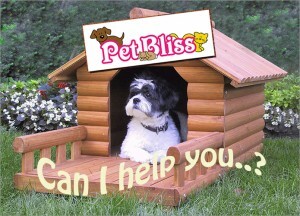 Suffice to say, when our new customer found Pet-Bliss she thought we might be another scam site, but was happy and relieved to see we had an address, a shop, and a telephone. Apart from having a physical address and phone number, there are several other things to look out for which can provide reassurance when ordering and buying online, but if you do find yourself saying the old phrase “if something seems too good to be true, it generally is” then double-check the credentials of the site closely. At least if you’re in the area you can drop by and visit us in person, and if not just call us on +353 (1) 2810064. Pet owners find it frustrating when they discover ticks and fleas on their pets, and summertime, when they are more likely to be running out and about, is the season when animals could easily pick them up. Fleas are unpleasant for both animal and owner. The affected dog or cat may suffer from skin irritation, particularly if the infestation is heavy. Some individuals become allergic to flea saliva and in these cases flea bites result in severe inflammation. Eradicating fleas can be a time consuming exercise, so the best method to ensure your dog does not become infested with fleas is prevention. A good quality flea collar at the beginning of the season will do just that. Typically the affected area in dogs is along the back and hair loss, skin thickening and secondary infections may occur. Although dog and cat fleas do not infest man, they may cause bites resulting in irritating skin reactions. In cats, allergic reactions may take the form of small scabs at the site of the flea bites. These in turn result in areas of hair loss and dermatitis caused by licking, and a vicious circle of infection may set in. Dog and cat fleas also act as an intermediate host for a species of tapeworm, so that a dog or cat which swallows a flea may also be swallowing an embryo tapeworm which will develop into a fully grown tapeworm in the gut. If your dog becomes infested with fleas your house will soon follow, so outfitting your dog in a flea collar not only protects them but your family as well. The purpose of adult fleas is to feed on blood and reproduce, either on humans or canines. There are several flea and tick powders owners can use to rid fleas that have infested the home. Should you find yourself in this situation, drop your dog off at your local groomer for a flea bath. While your dog is out of the home, apply flea powder to carpets and all of the furniture throughout the house. This should kill off any fleas and prevent them from re-infesting your dog when they come back from the groomers. Ticks are another problem that warm weather brings out. Ticks gorge on blood by attaching themselves to your dog. Although flea and tick medicine helps, if your dog spends a lot of time running through heavy brush, ticks will still attach themselves to it. Ticks carry with them diseases that if left untreated will be fatal to your dog. Anytime you take your dog on a camping trip or even through a wooded dog park, you should check under your dogs’ fur for ticks that may have found their way to your dog’s skin. Fleas can be an annoying problem that can be avoided with a flea collar or multiple preventative pills. Ticks on the other hand must be removed with a specific tool designed just for removal. Avoid the costly treatments and shampoos by outfitting your dog in a good quality flea collar at the beginning of the season. It is essential that you treat your dog regularly for dog fleas. Even though your dog may only go out into the back yard, your dog can still get fleas. Fleas can come from other dogs, other cats, small vermin, hedgehogs and badgers. Fleas spread so quickly and within a few days can be spread all over your house. Pre-treatment of dog fleas is essential. However if your dog has already got fleas, you will need to treat your dog and all the areas your dog has been to in your house, the garden and their kennel. Washing your dog will not get rid of fleas, but anti flea shampoos and specially designed combs can help to prevent them. We sell dog flea tablets and collars and also furniture and carpet sprays to kill the fleas and their larvae. So whether you’re interested in flea and tick prevention, or in need of a cure, Pet Bliss can help contribute to a happy, fun and pest-free summer. There are certainly many reasons for owners to want a tranquil, obedient and faithful dog. For one thing, an obedient and trained pet is a healthier pet, much less likely to get into fights with individuals or other animals. Certainly, educating your dog will likewise make them a much better household buddy, especially in houses where there are kids. Heel. It is important that any breed of dog learns to walk beside its owner on a loose lead, neither pulling ahead nor dragging behind. No. This is one word that all pets must learn. Training your dog to respond to this important word could save you lots of problems. Sit. Training your dog to sit on command is a vital part of any dog’s training program. Stay. A well trained dog should remain where his/her owner commands, so it is an extremely important command in dog training. Down. Resting on command is a crucial component of any type of successful dog training programme. A pet dog training programme does more than merely create an obedient, ready buddy. Training your dog appropriately builds up the bond that exists between dog and handler. 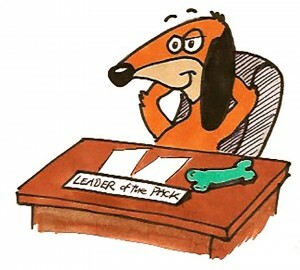 Dogs are pack animals, and they want their pack leader to tell them exactly what to do. The trick to successful dog training is to set yourself up as that pack leader. There is only one leader in every pack of pets, and the owner must develop him or herself as the dominant animal. Failure to do so could result in all manner of problems later on. A trained dog will react promptly to all the owner’s commands, and will not display any anxiousness, annoyance or confusion. A good dog training programme will focus on enabling the dog to learn what is expected of it, and will use positive reinforcement to reward wanted habits. Pet Bliss have several dog training aids available on our site, including toilet training bells, ultrasonic trainers, training collars, kits and treat bags, chewing deterrents, harness cords, clicker aids and even a Sounds CDs for behaviour therapy. Along with making the dog a good member of the community, obedience training is an excellent method to meet a few of the dog’s own demands, including the demand for workout, the comfort that comes with recognizing exactly what is expected of it, a sensation of achievement and a good working connection with its handler. Pet dog training offers the dog an important job to do, and an important objective to reach. Providing the dog with a ‘job’ is more crucial than you think. Dogs were initially bred to do important work, such as rounding up lambs, guarding property and protecting individuals. Many pets today have no important job to do, and this could give them a feeling of monotony and cause neurotic behaviour. Fundamental obedience training and ongoing training sessions provides the dog with an important job to do. This is especially important for high energy breeds like Alsatians and border collies. Training sessions are an excellent method for these high energy pets to expend their extra energy and simply enjoy themselves. Including play into your dog training sessions is an excellent method to prevent both you and your dog from ending up feeling being burnt out and playing with your dog helps to strengthen the all-important bond between you – the pack leader – and your dog. Reducing hairballs in your cat. 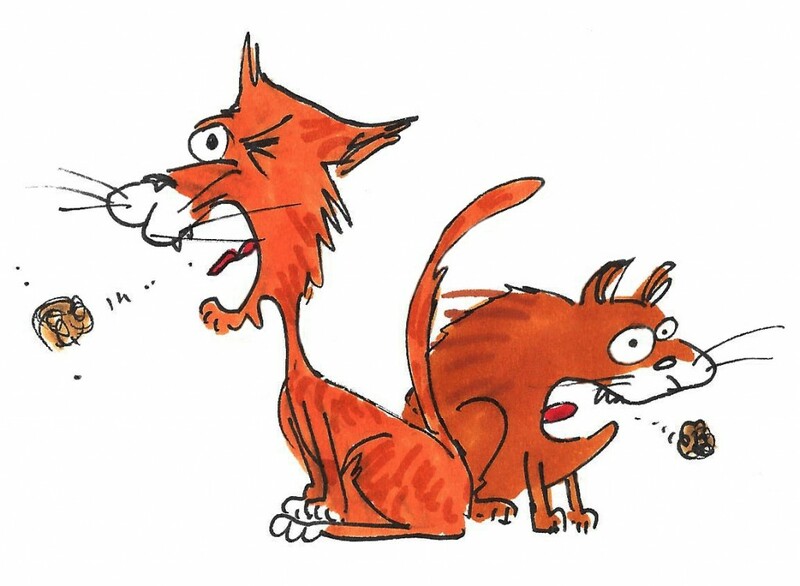 Every cat owner is familiar with the ‘hawking’ noise their cat makes every couple of weeks, resulting in a compact hairball being deposited on the floor. Owners generally become fairly blasé after cleaning up a few of them, but you should also be aware of how they form, how to prevent them from developing as frequently, and the complications that can arise. Unlike most dogs that take a lick or two at their paws and consider that they have groomed enough, cats are grooming dynamos. Even tiny kittens will start grooming at a very early age and this continues throughout the life of the cat. The tongue of a cat is covered with little hooks which pick up dead and loose hairs when the cat licks itself. Cats spend a considerable amount of time during the day cleaning, so the opportunity to collect hair is great. The hair that is taken up by the tongue is inevitably swallowed and enters the digestive system. The greater portion of the swallowed hair passes harmlessly through the stomach and intestines and is deposited in the litter box. However, some always remains and will develop over time into a hairball. • Your cat may become constipated – normal passage of stool will be prevented by the hairball. • Conversely, your cat may have diarrhoea as the intestinal irritation from the hairball causes food to pass too quickly through the system. • If your cat attempts to vomit (dry heaves), but is unable to bring anything up, the hairball may be too large to expel in the normal way. • Appetite will fall off dramatically when blockage occurs. • A large hairball can press against the lungs, causing the cat to wheeze and cough. At this point, you will have to consult your vet to have him or her resolve the hairball problem. If a large hairball is present anywhere in the gastrointestinal system, it will require surgery to remove it. This can be very expensive so owners should make every effort to prevent hairballs from forming in the first place. It would be completely unrealistic to suppose that you can prevent your cat from swallowing hair at all, but there are some things that you can do to help keep hairball problems to a minimum. Brush your cat. Not surprisingly, long haired cats are much more likely to develop problem hairballs than short haired ones. However, a daily brushing of your cat will help remove most of the loose hairs before they do begin to form a ball. The Cat Zoom Groom is one product ideal for this. The soft, rubber fingers are a magnet for loose hairs and it massages and grooms at the same time. Starting daily brushing when your cat is young is a good idea not only to help prevent hairballs, but also to provide a nice time for you and your cat to interact together. After the brushing session is complete, run a damp cloth over the fur to pick up any stray hairs. Some cats are more dedicated to grooming than others, and these super-groomers are more likely to develop hairball problems. You can help to keep the cat’s tongue in his or her mouth by providing a new toy or two and by playing with the cat – both of you will probably have a great time. Oral lubricants are available at pet supply stores or through your vet. These help keep matter moving through the digestive tract more quickly and getting the hair out of the system will prevent the formation of hairballs. Fibre rich cat foods have been found to be valuable at preventing hairballs. As with any new food, however, introduce it slowly to prevent any stomach upsets. Hill’s Science Plan Feline Adult Hairball Control helps avoid the formation of hairballs. It’s a gentle formula for everyday feeding with clinically proven antioxidants and tailored phosphorus levels. Cats can pick up human hair from the floor when they groom, and this can be a problem especially if the humans in the house have long hair – it will go down right along with the cat hair. Regular vacuuming can help keep these hairs out of your cat’s insides. Another hairball prevention method is Mark & Chappell Defurr-UM Cat Treats – a nutritional, tasty cereal treat with a creamy, tasty filling which contains active ingredients to help prevent and remove hairballs. And lastly, don’t let your cat become obese; fat cats are more likely to be constipated, which slows down the normal passage of matter through the intestines, contributing to hairball formation. It is up to us to train and socialise our dogs to prevent them from acting upon behaviour which is seen as acceptable in their world, e.g biting. If a dog has no leader to look up to they will take it upon themselves to become the leader. This will eventually cause all kinds of problems! Believe it or not, dogs are much happier and relaxed being followers! In order to be a good leader to your dog you need to be calm but also assertive. As an animal they are much better at reading body language than we are! If your dog senses you are stressed or afraid it won’t see you as their leader. If you have a few dogs make sure they are all treated equally. The only dominant one should be YOU! Always walk through a door ahead of your dog, you are the boss! If you allow your dog on the sofa do not allow them up without being invited first. Don’t let your dog jump all over you for attention, wait until they are calm and then reward them with attention. Your dog should wait for his/her food. Don’t give them their food if they are begging, you don’t want to reward unwanted behaviour. Walk over your dog if it is lying on the floor, not around it. Stop unwanted behaviour at the first signs, don’t wait for it to escalate into something worse! Use your eyes to show disapproval, DON”T hit or shout at your dog. DO give affection to your dog once they are calm/have done what you requested. When your dog is scared/nervous they need to be able to look up to you and see a calm, confident leader. If you are out walking and you feel your dog start to tense or eye up another dog, use a sound or touch to interrupt the behavior. The Pet Corrector is a great way to do this. It is a can of inert gas which emits a hissing sound that will most definitely distract your pooch! When you meet new people, explain to them that your dog needs to smell them first as it is their way of getting to know you. When you come home and your dog is jumping up and down with excitement to see you, do not reward the excitement. Wait until they are calm and then reward their actions. Walking and Exercise are EXTREMELY important. 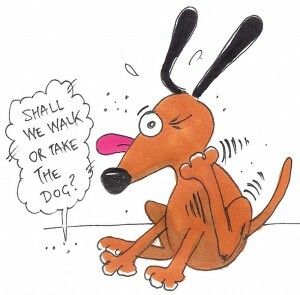 No matter what breed of dog you have, big or small, they need to be walked. This helps to get rid of energy and is great therapy for your dog. If your dog is bored and frustrated they will try to take their energy out on something else such as digging holes in the garden or chewing the skirting boards! The type of food you feed your Dog is also extremely important. You need to choose a product that doesn’t have tons of protein or additives in it i.e James Wellbeloved, Science Plan etc. If you are leaving your dog alone for a period of time it is wise to make sure they have a toy of some sort to chew on and play with. Kong Dog toys are a great way to keep your dog entertained as you can fill them with many yummy things. Nylabone Dog treats are also a great way to keep your dog amused, especially those aggressive chewers! If you follow these simple yet effective steps, it is sure to lead to a healthier, happier life for you and your dog. Just always remember, you are the leader of the pack! As you all know we have been quite lucky with the weather recently! 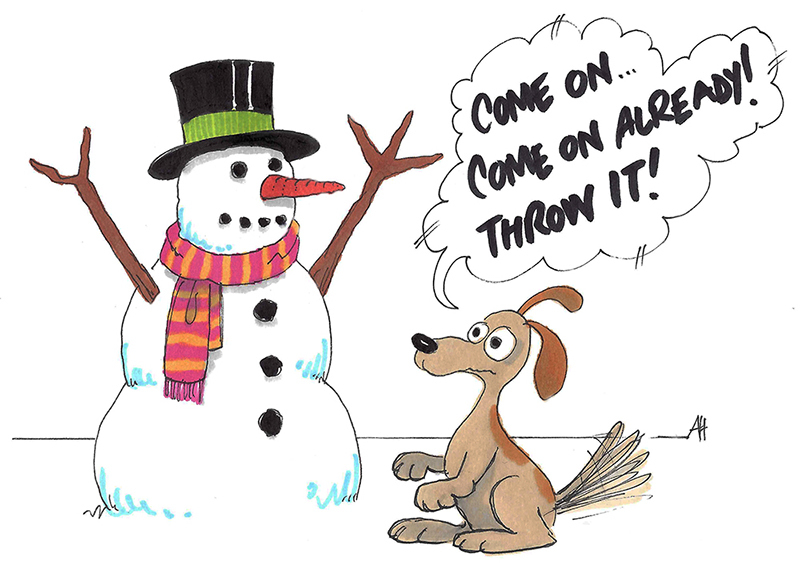 It has been sunny and warm, just the way we like it, but what about our doggies? Well did you know that dogs have a higher internal temperature than humans? Meaning they can suffer from heat exhaustion fairly quickly if you don’t take the necessary measures to protect them from the hot sun. Here are just a few simple ways in which you can ensure your dog stays healthy and happy during this fab weather! Always make sure your dog is hydrated. No matter where you are going you should carry a dog’s water bottle with you to prevent dehydration. You should try to exercise your dog in the cooler times of the day to prevent them from heat exhaustion and burning those little paws on the hot path! Keep your dogs coat short (but not shaved as this can cause sunburn) and brush your dogs hair especially if they have a heavy coat. Protect those pink noses by using baby sunblock to prevent sunburn! DO NOT leave your dog in the car for any amount of time. Always make sure your dog has somewhere to go for shade no matter where they are i.e a tree, a dog kennel etc. These few simple steps will help you to enjoy the outdoors safely with your dog this summer. Now don’t forget your own suncream!! They are very excited to be joining up their own personal fans, although we think it has gone a little bit to their head. They are now demanding a number of items which they think they are most deserving of. Anyway, come and visit them and add them as a friend on facebook to see what all the fuss is about. Taken from “Understand aeromonas, pseudomonas pathogenic bacteria in Koi ponds” by Tom Holder. I am extremely grateful to Tom Holder the master distributor world wide of the revolutionary product KoiZyme also known as Genesyz for permission to reproduce this article on aeromonas and pseudomonas pathogenic bacteria. One of the most important things in keeping your pond and your fish healthy is understanding pathogenic bacteria. There are a wide variety of pathogenic bacteria that can infect your pond. By far the most common are aeromonas and pseudomonas. These two bacteria kill more Koi each year than all the other pathogens combined. Understanding how these pathogens live, eat and attack your Koi is vital to controlling them. Aeromonas and pseudomonas cause ulcers (also known as hole in the side disease), fin rot, mouth rot and tail rot. If left untreated the damage they inflict will eventually kill the fish. Many hobbyists believe that their ponds do not have either of these bacteria when their fish are not currently experiencing any of the above symptoms. This simply is not true. Aeromonas and/or pseudomonas exist in almost every Koi pond the world. You must understand that it is possible for Koi to be around these bacteria and NOT be infected. Koi have a defense mechanism that helps protect them against these bacteria. This defense is made up of primarily their slime coat and their immune system. It is important not to have a false sense of security because all your fish appear healthy. This can change quickly. The big question is: How much aeromonas and pseudomonas can Koi be exposed to without getting sick? In 2000 when KoiZyme was first introduced to the Koi hobby, many hobbyists and dealers conducted their own tests to verify KoiZyme did what it claimed. Most of these people were kind enough to share their test results, as well as information on the condition of their fish at the time of testing, with Koi Care Kennel. Conducting these tests were relatively simple. A sample of pond water prior to dosing with KoiZyme was sent to a lab to determine how much aeromonas and pseudomonas was present. The pond was then treated with the five initial treatments of KoiZyme. Once these treatments were completed, another pond water sample was sent to the lab for testing. A comparison of the before and after test results verified a significant reduction in aeromonas and pseudomonas. At Koi Care Kennel we reviewed test results from around the country and found some most interesting information. One pond that was tested had 22,000 C.F.U’s (Colony Forming Unit) of aeromonas prior to dosing with KoiZyme. Most of the fish were experiencing various degrees of ulcers or fin rot. In this particular pond 22,000 C.F.U’s of aeromonas were enough to cause problems in the majority of the fish. Another pond tested had 86,000 C.F.U’s of aeromonas prior to dosing with KoiZyme. All the fish in this pond were healthy with no signs of ulcers of any kind. From this example, it can be seen that there is no set level of aeromonas that will cause ulcers. Other factors can enter in to the picture here, such as the virility of different strains of bacteria, etc., however for the sake of simplicity, what is most important to remember from this discussion is that the overall health of the Koi plays a huge role in how much pathogenic bacteria a fish can be exposed to and not get sick. In an effort to help you manage aeromonas and pseudomonas in your pond, I have come up with some terminology that will hopefully help you to visualize the relationship between pathogenic bacteria and Koi health. Let me emphasize that this is NOT some scientific theory based on mounds of research, but a simple explanation meant to help the hobbyist understand some basics. If you had your pond tested for aeromonas and pseudomonas, you would get back from the lab a C.F.U. count telling you how much pathogenic bacteria was in your pond. Imagine this number as a RED LINE representing the pathogenic bacteria level in the pond posing a threat to the fish.As mentioned earlier, fish have a defense mechanism against pathogens. Each fish has its own individual tolerance level to the RED LINE based on the condition of its slime coat and the strength of its immune system. Now take a number of C.F.U’s that represents the highest level of pathogenic bacteria that an individual fish can be exposed to without getting sick. Imagine this number as a BLUE LINE. To have a totally healthy pond with no sick fish, each individual Koi would have a BLUE LINE higher than the RED LINE of the pond. For example, if an individual Koi had a BLUE LINE of 25,000 C.F.U’s (the highest level of pathogenic bacteria he could withstand without exhibiting symptoms) and the ponds RED LINE was 18,000 C.F.U’s, the fish would remain healthy and safe. On the other hand, if this individual Koi’s BLUE LINE was 15,000 C.F.U’s, it would be sick because it could not tolerate the 18,000 C.F.U’s in the pond. Let me give you a classic example of how this relationship works. This example may also help some Koi dealers and hobbyists the next time a dealer is blamed for selling a sick fish. A hobbyist we’ll call John has had his pond for some time and for the past three years all his fish have been healthy with no infections or problems. John decides it is time to finally go out and buy that special show quality Koi he has always wanted. He visits his friendly Koi dealer, looks around and sees nothing but healthy, beautiful fish. He feels confident in spending the money for the Koi he has always wanted. He buys it, takes it home, and quarantines it for three weeks. Lets say he even treats it for parasites and flukes during the quarantine period. At last, he puts it in his pond and it gets sick with ulcers and fin rot. How many times have you heard John say it was the dealers fault. John’s collection has been healthy for the past three years. His pond is not the problem, just look at his healthy fish. John’s pond had a RED LINE of 40,000 C.F.U’s. All his fish were healthy. They had BLUE LINES of lets say, 45,000 C.F.U’s. Now, lets look at the dealers pond. He works hard to keep his ponds clean and healthy.When tested, that show tank had a RED LINE of 10,000 C.F.U’s. The fish John bought had a BLUE LINE of 20,000 C.F.U’s. It was healthy in that show tank when it was sold. But what happens when that fish with a BLUE LINE of 20,000 C.F.U’s is put in a pond with a RED LINE of 40,000 C.F.U’s? It gets sick because it cannot tolerate that level of bacteria. Obviously, this scenario does not pertain to sick fish being bought and sold. But it is easy to see what can happen with the red line and blue line when moving fish from one pond to another without knowing what the RED LINE value is in each of the two ponds. Even if you did know the pathogenic bacteria levels in the two ponds, how do you determine the BLUE LINE of the fish being moved? What can you do? Another factor that can dramatically affect the relationship between the RED LINE and the BLUE LINE is parasites. In fact, it throws the red line/blue line relationship right out the window. Parasites can bore through the protective slime coat of the fish allowing any existing opportunistic pathogenic bacteria to cause ulcers regardless of the BLUE LINE. Even with an extremely low RED LINE in your pond, the moment parasites are introduced, secondary infections from the existing pathogenic bacteria no matter how few can occur. Keeping your pond parasite free is critical to maintaining healthy fish. It is easy to assume that when ulcers develop, an aeromonas problem exists. However, if the pond is well maintained and the fish are well cared for, parasites could very well be the problem. A microscope is needed to confirm the presence of parasites. If you don’t yet have a microscope, you really ought to get one. It is a necessary tool in the Koi hobby. Check with your local Koi club to see if you can get a member with a microscope to help you take a scraping of your Koi. If you don’t have access to a microscope, then it may be a good idea to treat for parasites anyway. Use a safe and effective parasitic treatment such as Proform-C. This product can be used in water temperatures as low as 50 degrees (F). Ultimately, the main goal is to get the RED LINE as low as possible and the BLUE LINE as high as possible. Good mechanical filtration to remove Koi waste and the use of KoiZyme is the most effective way to lower the RED LINE in your pond. Raising the BLUE LINE of the fish is achieved by giving attention to providing a healthy diet and insuring the best water quality possible. Keep in mind stress will lower the BLUE LINE of a Koi quickly, and remember that as the seasons change and water temperatures fluctuate, the Koi’s immune system is affected, thereby lowering the BLUE LINE of the fish as well. The bigger the margin between the RED LINE and the BLUE LINE the better the chances the fish have of staying healthy. You can win the battle against pathogenic bacteria if you fight the battle on BOTH fronts. Ever since Adam and Eve sinned in the Garden of Eden, man has been struggling with the problems of an imperfect world such as weeds, death and disease. This is very true for the Koi keeper who over the years has been forced to experiment with different chemicals and compounds in the quest to find the ‘magic bullet’ that will successfully treat his Koi. Pond treatments are big business and it is evident how much as Koi keepers we are cursed with disease when viewing the range of bottles, boxes and powders stocked by Koi dealers to treat our Koi. Once opened, many of the different branded treatments look very similar as they share very similar formulations, tried and tested over time. Historically, there has been very little financial incentive for pharmaceutical companies to research new aquatic medications when confronted with extensive research costs and the limited market compared with the incentives for finding new drugs for the human medicine. Some of the chemicals used in the hobby today have been introduced (and recently restricted) from fish farming and other disciplines, including human medicine. With several treatments under potential threat of withdrawal from our hobby, and the change in Koi keepers’ opinions away from chemical treatments, alternative methods are starting to enter the market. As science becomes progressively applied to Koi keeping and in this age of information overload, more questions are being asked of what Koi are subjected to when treated for disease. Are the treatments environmentally friendly? Are there alternatives? Why do we use them? How do they work? What are the side effects for our Koi, filter and pond? All medications are used for their toxic effects on the target disease organism, whether bacteria, fungi or parasites. Unfortunately, most medications are also toxic to Koi as well as filter bacteria and aquatic plants. The approach to chemotherapy in the pond environment is quite unique in the pet industry in that the water is usually treated instead of the animal. The chemical dose is determined by the volume of the pond rather than the size or number of Koi. In this way, when using a long-term bath treatment it is necessary to know the precise volume of the pond rather than the size or weight of the diseased animals. This has many obvious benefits in that the fish can be treated without being handled and potentially thousands of fish can be treated in a single action (a real benefit for the Koi farmer). Yet, the cost of treating 20 Koi in a pond compared with 20 Koi in a bowl would unavoidably be more expensive; but as most pond treatments are inexpensive, this still does not prove to be a financial problem. Larger specimen Koi (and other large pond fish) suffering from certain bacterial conditions are sometimes better treated individually with antibiotic injections. In contrast, in this situation it is essential to know the size of the fish and the cost of the treatment is directly related to the weight of fish treated. Chemotherapy (chemical treatment) immediately conjures up thoughts and images of cancer treatment and the appalling associated side effects such as loss of weight and hair. Such graphic side effects are due to the treatment also being toxic to the host. The key factor is treating with a dose that is sufficiently concentrated to kill the disease but not the host. The same is true in Koi chemotherapy. It is better not to treat at all rather than under-dose as under-dosing stresses the fish and does not eradicate the target pathogen, perhaps even enabling future generations of that disease to become more resistant to treatment. This is already the case with some bacteria that are resistant to antibiotics and some parasites being resistant to insecticides where the application of the medication has been inappropriate. What do Koi medications treat? There are four categories of pathogen (disease-causing organisms): viruses, bacteria, fungi and parasites. Fish, just like humans, can be vaccinated against certain viral diseases where they are inoculated with a weakened form of the virus that stimulates the body to produce anti-bodies against that virus. In future infections by that virus the body is at an advantage in that it already possesses the antibodies to attack the virus. The fish is then immune to that virus. Although trialed in Koi, fish vaccination is more common in fish farming and can be carried out using a dip or bath. Bacteria are responsible for causing external complaints such as fin rot, gill rot, ulcers and ‘mouth fungus’ and are usually treated by dosing the water with a chemical treatment. Internal bacterial complaints which may cause haemorrhaging and possibly dropsy are better targeted using an injection of antibiotics. Antibiotics are only available under prescription from a vet and injections are only really suitable for larger fish. Vets can also prescribe antibiotic food. Fungus is responsible for the cotton wool-like growths found on wounds or abrasions. Fungus is often quite difficult to treat, especially in advanced cases, as the protruding fungus growth is the tip of the iceberg in that out of sight, the fungus is penetrating deep into the living fish tissue. Unlike the other categories of disease, fungus is not contagious and affected Koi will not infect healthy and intact Koi. Parasites can attack the exterior and interior of fish and range in size from being microscopic (Chilodinella, Trichodina) to those visible by the naked eye (Fish Louse, Anchor Worm, White Spot) up to those several centimetres long such as leeches and tapeworms. Parasites on wild fish remain in a finely balanced relationship where their level of infection does not cause the death of the host. It is in the parasite’s interests to keep its host alive. In captivity in a Koi pond, however, Koi and parasite relationships can become unbalanced causing the death of the host. Treatments for parasites vary according to the location of the parasite (internally/externally), the size of the parasite and its lifecycle. It is no coincidence that many proprietary pond medications are very similar in colour and appearance. Most of them follow very similar formulae with differences occurring in the refinement of chemicals used, chemical concentrations and minor adjustments to the base formula. Other chemicals are used on their own and for toxic implications cannot be mixed with other active ingredients. Commonly used chemicals include malachite green, formalin, acriflavine, potassium permanganate, methylene blue, antibiotics and salt. A Koi keeper at one time or other will have used at least one of the above to treat their Koi so it is pertinent to know what effect these chemicals have on the disease, fish and the pond environment. Malachite is a strong dark green dye that has even been used as an antiseptic in wounds in humans. Different grades are available but the less toxic zinc-free malachite green is used in ponds to treat fungus and microscopic external parasites such as Chilodinella, Costia and White Spot. Due to its broad action, malachite is often the foundation to many pond medications. Malachite is toxic to humans as well as fish and is a cancer-causing substance. Care must be taken when using it especially if in powder form as it is extremely concentrated in this form. Fish unavoidably absorb malachite through their gills and being a cumulative toxin it is stored in fish flesh. Its use in trout farming has recently been restricted as there is evidence that fish reaching the market contain traces of malachite green. A replacement for malachite that is less risky to humans is being researched but as malachite is so effective and readily available, the financial incentive to research and develop an alternative is very small when considering the small size of the pond market. Such a change will only occur through legislation banning the use of malachite in certain circumstances. Malachite permeates through cell membranes of parasites and fungi where it interferes with respiratory and metabolic processes within the cells. Consequently, treated pathogens are unable to generate energy within their cells, eventually dying. If Koi are overdosed with malachite their cells suffer the same effects on a massive scale, potentially killing the Koi. There is no antidote for malachite over dose. Formalin is a solution of approximately 40% formaldehyde gas. It is a clear, colourless, pungent and highly toxic solution. Regularly used with malachite green (Leteux-Meyer mixture) as the effect of the two combined chemicals is greater than the sum of each if used individually. It is very effective against microscopic external parasites such as White Spot, Chilodinella and Trichodina. Formalin is a universal disinfectant and works by damaging the structure of proteins that form the structure of cells and the genetic information within the cells themselves. Technically described as a protein precipitator, formalin denatures proteins unselectively which unfortunately will also include Koi tissue, so the correct dosing is critical. The antiseptic nature of acriflavine is known from its uses in human medicine as a treatment for mouth and throat infections and for disinfecting wounds. It is a deep yellow powder that dissolves easily in water and can be used to treat bacteria, fungi and particular parasitic infections. It is absorbed through cell membranes where it reacts with DNA inside the cells. This disrupts the pathogen’s ability to reproduce causing an accelerated death and preventing the spread of the infestation. It is still not clear why acriflavine has this effect on DNA within cells. This is a dark purple crystal effective against bacteria and external parasitic infections and is routinely the treatment for dipping newly-harvested or imported Koi. It is a very toxic chemical that can quite easily kill fish if even slightly over dosed. Its mode of action can be seen by the naked eye in that it forms manganese dioxide giving surfaces a brown colouration. This forms a manganese-protein complex in contact with proteins (fish skin, mucus, parasites, bacteria) which interferes with the protein synthesis of the organism, causing death. Its effect is greatly reduced by a high organic content in the water as the potassium permanganate reacts with the organic molecules in the water rather than the target organisms. In the Second World War during the years of rationing, when tights and stockings were in very short supply, to remain fashionable, ladies regularly took potassium permanganate baths to turn their legs brown! This is not to be recommended. Methylene blue comes as a very dark green powder, appearing blue when dissolved in water. Once very fashionable, methylene blue is now considered a ‘traditional’ medication for bacterial, fungal and parasitic infections. It is now used less frequently as it is highly toxic to plants and will wipe out the bacteria in a biofilter. It is easily absorbed through cell membranes and affects cell activity by raising oxygen consumption within cells. Its mode of action is unclear but it is thought that its action is similar to that of other dyes. Antibiotics (literally means ‘against life’) are naturally occurring chemicals produced by fungi or bacteria that have an antibacterial effect. Antibiotics are now manufactured and produced synthetically but have the same effect. The use of antibiotics in the UK is controlled by prescription to limit their use to treating worthy cases rather than allow their widespread use to prevent disease that would increase bacterial resistance. This has already been seen with antibiotics such as oxolinic acid and oxytetracycline which are now useless against many bacteria. This has been one of the major issues in recent years when treating ulcers in imported pond fish where the ulcer does not respond to antibiotic treatment due to bacterial resistance. Antibiotics can be added to water in short term baths and dips, fed orally in medicated food or given via injection. They must not be added to a tank or pond as they will wipe out any biofiltration. Their mode of action is varied and ranges from the interference of cell membrane formation in developing bacteria to the inhibition of genetic apparatus within microbes, preventing cell division and the multiplication of bacteria. As bacterial infections spread rapidly it is vital to stop the bacteria from dividing and multiplying and antibiotics achieve just that, unless the bacteria are resistant to that antibiotic. Salt (sodium chloride) can have several therapeutic effects on Koi and is used quite regularly by some Koi keepers as a preventative as well as a treatment. It has effective antiseptic properties and can be used as a tonic in mild concentrations to stimulate the Koi’s metabolism. It can also be added to ponds to reduce nitrite toxicity. Used as a dip or a long-term bath, salt can also be used as a treatment against external parasites such as Trichodina, Argulus and Lernaea. In stronger concentrations, salt is believed to have a three-fold effect on parasites. Acts as a skin irritant increasing mucus production, throwing off skin parasites – the high sodium ion concentration is toxic to external parasites – the osmotic change will cause parasites to implode. If treating ulcerated fish, the addition of salt to the water also reduces the influx of water into Koi, taking pressure off its kidney functions. It is important to remember that salt will remain in a pond system until it is removed with a water change. As it can be seen, the mode of action of many Koi medications is at the cellular level, attacking cell membranes or activities within the cell. Medications are not usually selective in their action but quite crude, with Koi surviving by virtue of their size and complexity in relation to the smaller, susceptible pathogen. Consequently, pathogens of just one or a few cells in size are easier to treat (and kill) than the more complex and larger parasites. Medications are nearly always toxic to Koi and humans and administered on the basis that at the recommended dose rates, they are more toxic to the pathogen that the Koi. This is why medications should never be overdosed. It is essential to acknowledge that while most disease problems are the result of a water quality problem, pond medications will not solve a water quality problem but only treat the disease. Therefore always try to identify and solve the cause of the problem before treating it. 1. Only treat your Koi once you have made a definite diagnosis. 2. Pond treatments will kill pathogenic organisms, but only your Koi are able to heal themselves. They will only be able to recover from disease if the water quality is ideal. 3. Pond treatments cannot be used as a substitute for a quality pond environment. When treating for disease, carry out any corrective husbandry as a priority, otherwise the Koi will continue to suffer from stress and ill health. 4. Always aerate your pond vigorously when treating, as pond treatments have a negative impact on dissolved oxygen. 5. Know the volume of your pond and filter system (in gallons or litres). Volume in gallons: Calculate the volume in cubic feet and multiply answer by 6.25. Volume in litres: Calculate the volume in cubic feet and multiply answer by 28.375. 6. Never leave a bath or bowl of treated Koi unattended. By definition, bath/bowl treatments involve high doses that can cause fish to deteriorate rapidly. 7. Always complete a course of treatment, especially when treating against external parasites.